How did this popular snack get its name? Did you know? 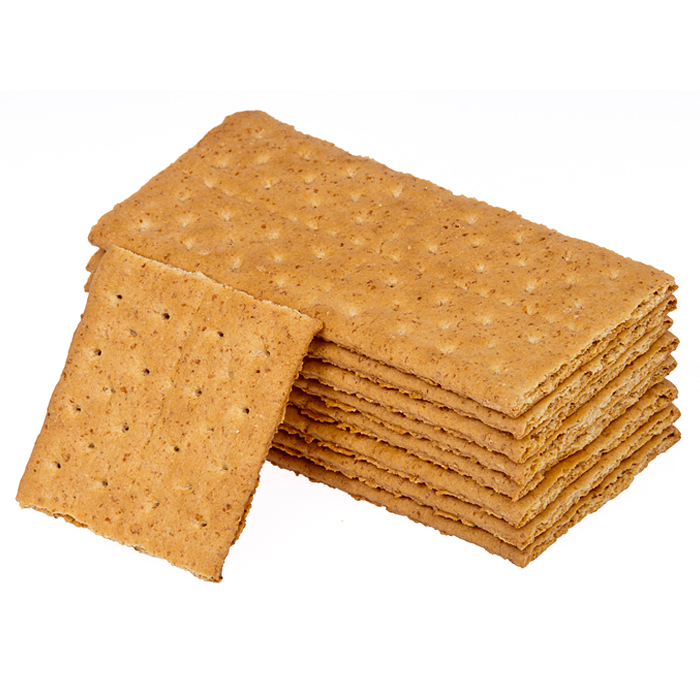 The graham cracker is named after an American Presbyterian minister. Today we remember Reverend Sylvester Graham, who was born on July 5, 1794. Graham was a social reformer who recommended a strict diet for people to stay pure and healthy. He advocated drinking only pure water and eating only a high-fiber vegetarian diet. This included bread made at home from unsifted wheat flour (as opposed to refined white flour). Whole wheat contains an array of phytochemicals. These naturally occurring plant chemicals contain antioxidants that can stimulate the immune system, repair damaged DNA and help your body fight cancer. Compounds include phytosterols (which can lower cholesterol) and tocols (which can prevent certain diseases). American researchers studied six whole wheat products to characterize their antioxidant capacity. Products included biscuits, graham crackers, pasta, toasted chips, wheat crackers and woven wheat crackers. Analytical equipment included an Agilent gas chromatograph coupled to an Agilent mass spectrometer. Interestingly, the researchers found that whole wheat content does not correlate with phytochemical content. “Ingredients other than whole wheat in the products appear to contribute substantially to the phytosterol and tocol content,” the researchers write, “as their composition were dissimilar to those reported for plain whole wheat.” These “other” ingredients, the researchers theorize, may include soybean oil.